Lynne said “A check just appeared via UPS for $250!!! No advanced notice, just a doorbell and a paper envelope (made me flinch and think maybe someone was playing a Halloween trick)! I read a few things online and it seems like a lot of people are seeing these…hopefully a lot of Freebies 4 Mom readers!!! More readers who won $250: Caren, Beth, Cristai, Stephani, Bernadette G., Carrie G., Brittany A., Amanda P., Jenny, Suzanne, Hollynn K., Karen, Brandi, Alison M. and more! Even more winners I found out about after posting this: Louise G., Jade, Karen, Heather, Kristi, Shannon V., Jean C., Larsy, Jennifer, Stephanie M., Kylene, Deb, Stephanie, Lynne, Jen B., Michal and more! Yay! I won too! what an amazing thing to come home to! So happy. Saving it for Xmas! This website has saved me so much money and gotten me so many freebies! I’m loving my milano cookies, my year supply of cheerios, my free leapfrog leappad and now my $250 check! wooohoo! thanks so much! I won $250 from Kelloggs too. A knock at my door, an envelope laying there and voila, $250! Huge surprise! This will really come in handy for Christmas! I found out about the sweeps here, so THANK YOU, Heather – I got my check too! So FUN! Oh what a surprise! I opened my door last Friday to see an envelope was delivered by FED EX. What a sweet treat to open it and have a $250.00 check from Kellogg’s! I bought my son some new shoes and a winter coat. I won, too! Didn’t even remember entering and thought the envelope probably had coupons or something like that. Count me a winner, too! I won both the $250 Kellogg’s cash & the “bushel” of Milano cookies. Thanks for the heads up on these sweeps! I won the $250 from Kellogg’s, too. Yes…I won $250 too! Thanks to you 🙂 The money is going in my HDTV fund…what a thrill it was to come home to that waiting for me in my mail…and I am NOT a lucky person! I also won! I was shocked! Thanks again Freebies 4 Mom for all you do! I won too! I didn’t know there were so many Grand prize winners! Congrats to all of us – WHOO HOO! What a wonderful surprise to a stressed out day. I couldn’t believe I was a winner in the Kellogg’s Sweepstakes for $250. I have a 10 years anniversary coming up very soon; so, I think I’ll be buying my husband something very nice to celebrate! I won the Kellogs back to school $250 check also!! Just came home and it was at the door at first I didn’t think it was real but then Isaw what it was for and remembered entering the contest ! I never win anything so I was amazed!! Count me in too. UPS came with the $250 check last Friday night! Thanks! I too won! I was really worried about Christmas since I am unemployed and then I received a $250 check from Kelloggs!!!!!! Made my day and my kids Christmas!!! Don’t give up on those sweeps!!! I received a check as well. What a blessing from God. It was much needed. I won $250, couldn`t believe it!!! Add me to your list of winners! I started an e-mail to thank you and got side tracked with the kiddos. I’m so excited! I’m planning to use this to put my daughter in either swim lessons or a science enrichment program that I learned about recently. She will love getting out and going to “school” and her little brother will get some one on one mommy time! I won $250, too! Was planning to email you to tell you thanks, but you beat me to it with this post! I didn’t know what the envelope was either, until I opened it..and found a check for $250! Thanks, Heather!! I won the $250 too! My husband got the envelope from the UPS man and opened it assuming it was going to be some pictures or something that I had ordered….he stood there SHOCKED while he read it and then handed it to me! Thanks so much for telling me about the sweepstakes! I got a $250 check from Kellogg’s this weekend also! I maybe entered once or twice, barely remember it. Such a great surprise!!! Add me to the list of freebies4mom winners of $250.00 from Kelloggs! 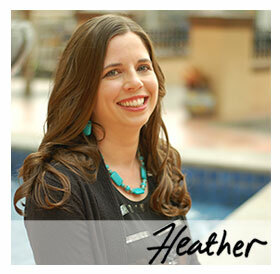 What an exciting surprise…Thanks so much to Heather for making entering sweeps sooooooo easy!!! I also won the $250 from Kelloggs, and was completely surprised! Thanks so much Heather for telling us about great sweeps like this! And I got my Milano cookies the same day, it was great. UPS left a note on my door today! I wonder it I have one coming? That would be such a great surprise!..But I also oredered a book, now I cant wait to see what shows up! Congratulations to those who won!! I put the check in the bank so fast…it’s great to feel like I was making a bit of income since SAHM life is not financially rewarding! I wanted to win the Milano bushel but maybe cash is better…it doesn’t end up around my middle 🙂 I’m not complaining, and I’ll keep playing your sweepstakes, Heather! I also recieved a ck for $250. It came at a time when I was rebuilding a new life for myself and I couldn’t be happier. Thanks for helping me on my new path to success!!! I won the $250 prize for Kellogg’s too! UPS delivered an envelope to my door last week and I had no clue what it might be. I had to look over the paperwork twice to believe what I was seeing. Thank you so much for your awesome posts on freebies, good deals and samples. I love this blog!! I received one of the $250 checks and was so excited, as it couldn’t have come at a better time… thanks so much Freebies 4 Mom! I won too! When my husband opened it and started reading that I’d won a sweepstakes, I thought maybe it was from Huggies as I play and play and play and haven’t won a darn thing. He said it was from Kellogg’s and I couldn’t even remember having entered the contest. Thanks Freebies4Mom! I won too, it came in the mail. Saved half and spent half. My husband was getting frustrated with how much I was on the computer. He now says (we’ll see how long this lasts) that he wont complain anymore since the Kellogg’s check for $250.00 showed up at our door while I was at work 🙂 Thank you for letting us know of all these great chances! I was one of the $250 winners!!! It was such a shock when I opened the envelope and couldn’t have came at a better time!! I got it too! The UPS man pulled up and honked his horn, then about halfway up the driveway he stopped and said “Oh, no… wrong house, sorry” and proceeded over to the neighbors house with the box he had. I had been hoping it was Milano cookies! Then, he knocked on the door again and asked if I would take my neighbor’s package ’cause they weren’t home. But on top of their box was an envelope for me… it was the $250 check from Kelloggs! Quite a surprise!!! The next day the Milano cookies and the bottle of Similac were left on the porch for me… such a great week!